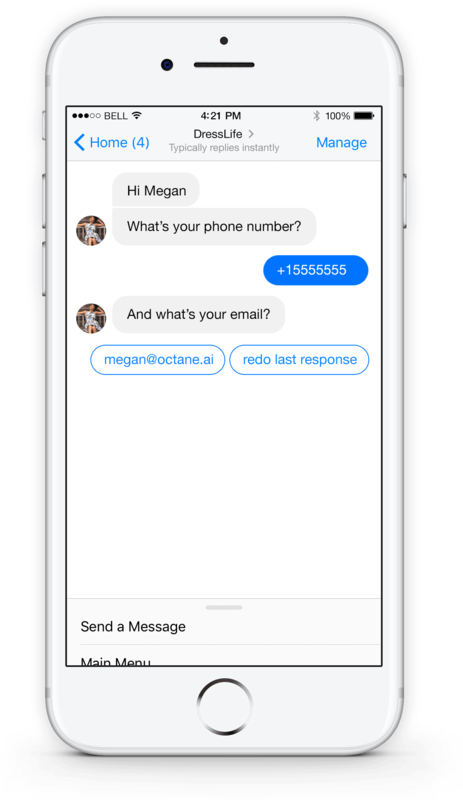 The Octane AI Questions feature is a conversational way to gather customer information in your bot. You can ask for email, phone number, audience-generated content, opinions, polls, surveys, and ideas via your Facebook Messenger bot. Their answers will be collected in your dashboard and can even be exported to a csv. Send Questions to your Customers as a push notification - in order to send your Questions out to targeted customers in a timing you choose, go to New Campaign>Click on Questions>Go to Ask Questions and fill in Form Questions. After you created a form you can add specific Targeting. And you can also pre-schedule your Questions when you wish to send it to your customers. 1. 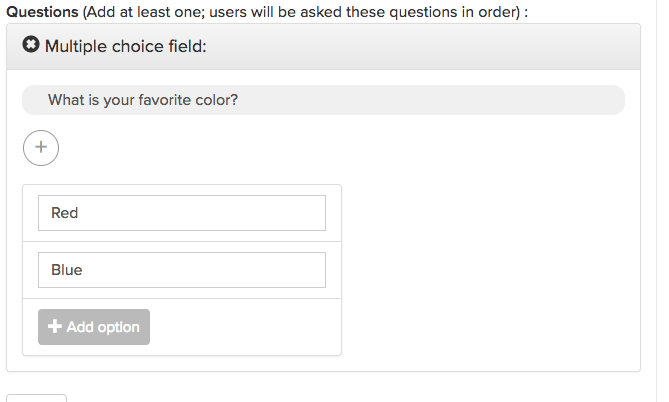 Text Field - Ask user a question for which they can write their own response. 4. Email Field - option to ask customers for their email address. If the user starts again the bot will remember their email and ask whether they wish to change it. 5. Phone Field - This lets you ask customers for their phone number. Like email, the customer will be shown a pre-filled reply with the phone number associated with their Facebook account, if they have one. With this option, you can select whether customers can fill in form once or multiple times. How do I see the responses? 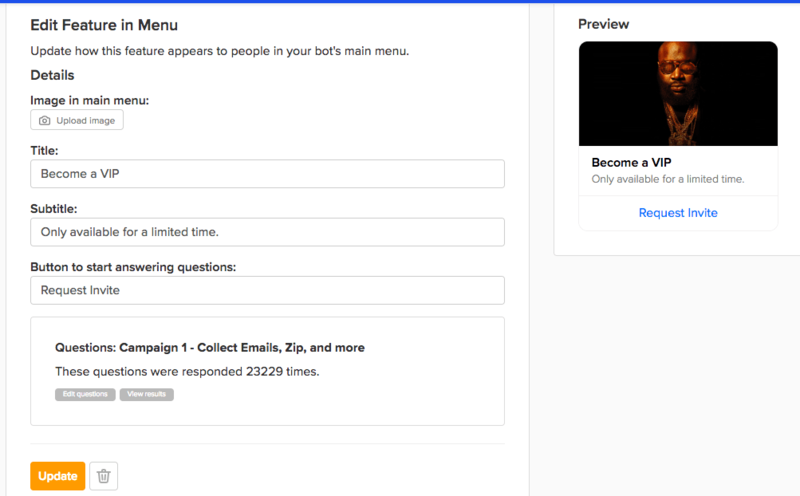 In order to see your customer responses simply go to Campaigns tab, click on questions and click Results for desired Questions form, and you see the overall stats and answers for every customer individually. After the campaign is over, it's easy to export the data to CSV file.